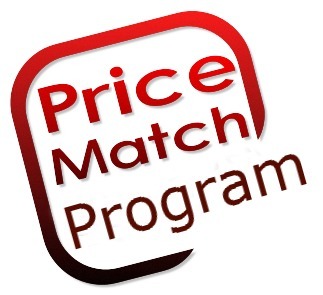 We are rolling out our new price match program. Now if you find another vendor that offer a better price on any product we will match that price. This price match program is here to provide you with reassurance that you are receiving the best price. So if you are getting ready to make a purchase and you discover a lower price elsewhere call us to let us know and we will match the price. Some restrictions apply.